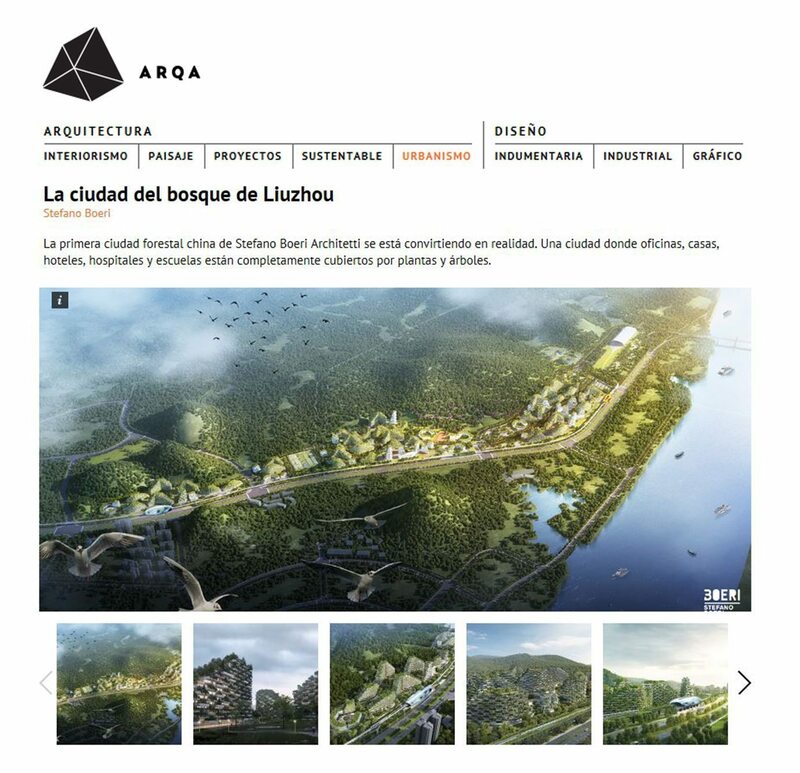 The dream of the Forest City is coming true for the first time in Liuzhou, China. A city were the offices, houses, hotels, hospitals and schools are covered with plants and trees. “The great innovation of Stefano Boeri Architetti‘s project is the presence of plants and trees in all buildings, of all sizes and functions, with a total of 40,000 trees and almost 1 million plants of more than 100 different species. The diffusion of plants, not only in parks and gardens or streets, but also in the facades of buildings, will allow the city to be self-sufficient in energy and contribute to improving air quality (absorbing both CO2 and 57 tons of fine dust per year), to lower the average air temperature, create barriers against noise and increase the biodiversity of living species, generating a habitat for birds, insects and small animals that inhabit the Liuzhou territory. The Forest City of Liuzhou will be realized in a very short time, by 2020″.